يوفر فندق Southern Ocean Motor Inn ظروف إقامة راقية وهو خيار رائج للسياح ولرجال الأعمال أيضاً. يقع في منطقة سياحة, برامج عائلية, شواطئ من المدينة. يمكن من هنا للضيوف الاستمتاع بسهولة الوصول إلى كل ما تقدمه هذه المدينة النابضة بالحياة. يضفي محيط الفندق اللطيف وقربه من أكثر المعالم السياحية جذبًا سحرًا خاصًا على هذا الفندق. إن الخدمات الممتازة وحسن الضيافة العالي في Southern Ocean Motor Inn تجعل إقامتك تجربة لا تنسى. يقدم العقار واي فاي مجاني في جميع الغرف, خدمة غسيل ذاتية, تسجيل وصول/تسجيل خروج خاص, تسجيل وصول/خروج سريع, واي فاي في المناطق العامة لضمان الراحة القصوى لضيوفه. بالإضافة لهذا، تتضمن كل غرف الضيوف مجموعة واسعة من وسائل الراحة . بعض الغرف توفر حتى تلفزيون بشاشة مسطحة, سجاد, رف للملابس, قهوة فورية مجانية, شاي مجاني لإرضاء أكثر الضيوف تطلبًا. صممت خدمات الاستجمام في الفندق والتي تتضمن حديقة لمساعدتك على الاسترخاء والراحة. يشكل Southern Ocean Motor Inn بخدماته الراقية وموقعه الممتاز، قاعدة مثالية للاستمتاع بإقامتك في المدينة. The location is in port Campbell town. Walking distance to the beautiful ocean,shops, grocery store, also few minutes drive to 12 apostle and other beautiful ocean view. The place was quiet and relaxing. Love it! Just 2problem is that the shower water is a bit slow and the floor carpet near the toilet was wet. Other than that is good. 1. Room is clean and spacious. 2. Location not bad. 3. Free and convenient car parking . 4. Poor sound-proof - when you slept at night, you could hear the neighbour was talking and the sound of door closing/opening. Quite noisy. 5. Overall, ok. 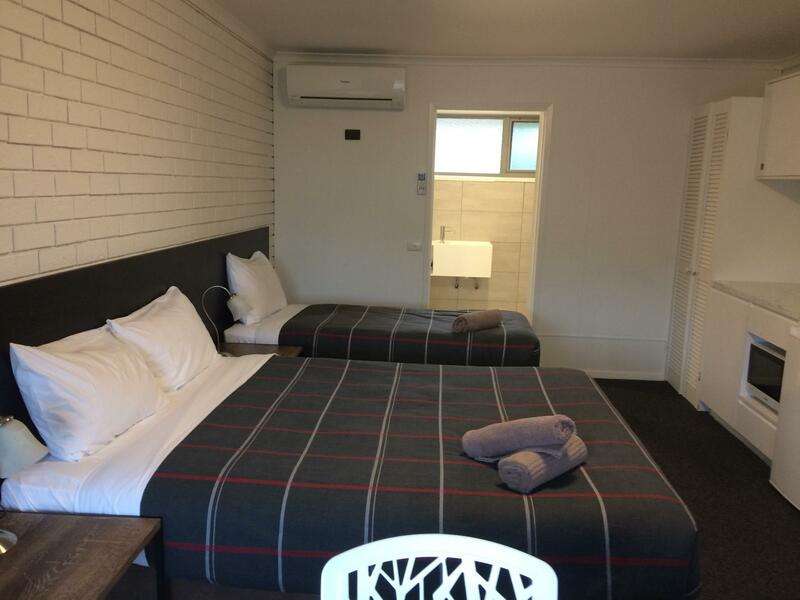 The Motor Inn is located in a quiet small town which is lovely, beds are comfy, air-conditioning is awesome and there is a quiet beach around the corner and easy accessible to restaurants. However, staff should provide more information for late check-in guests and the shower head is really terrible, we practically could not use to bath as the water volumes are too small (defect or old) and not pointing the right direction and the waters are uncontrollable (cold & hot simultaneously) . We are very happy with the place. The view was amazing. The one issue was the shower. The shower room was very small and there were no hot water in several occasions! I think if that's fixed, this place will be perfect. This motel located in perfect position in port campell, people work for this motel is friendly, room is not big but clear, the only bad experience is that there is mosquito in our room which makes our legs look different after staying one night! 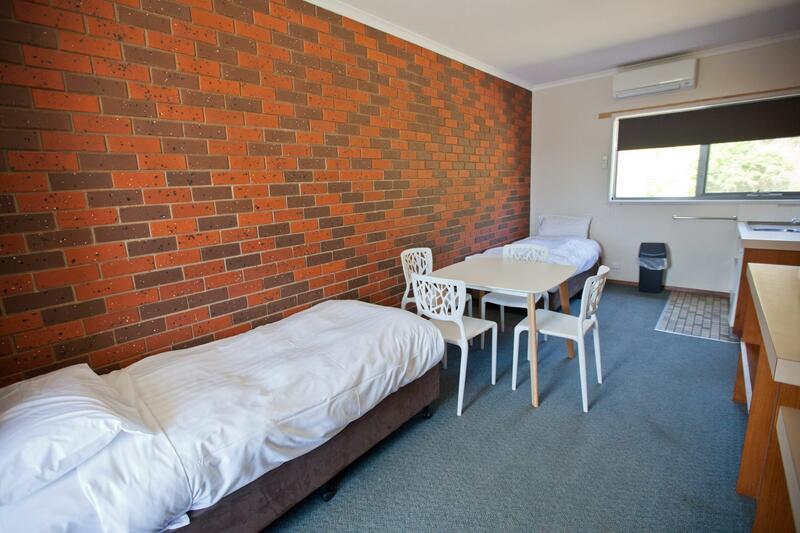 Newly renovated, clean and well sized rooms! Great for a longer stay too. Location couldn’t be better... brilliant views right outside the porch. Very helpful owner, made us feel right welcome. Will come back again! 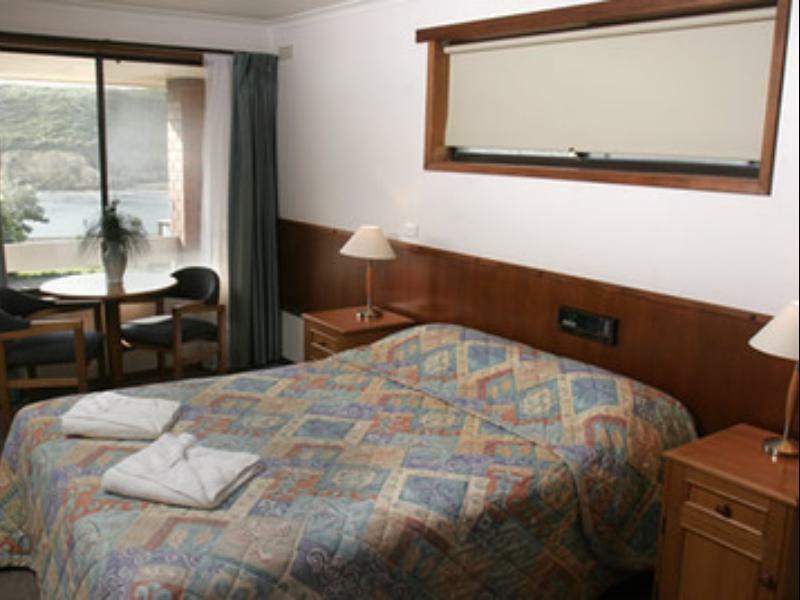 Location was very good and room was tidy and very clean. We booked this room for 4 people(2 adults and 2 kids) but we got twin room which had double bed a single bed which was good enough to sleep 4 people, Wifi didn't work. Rest of the thing are very good. 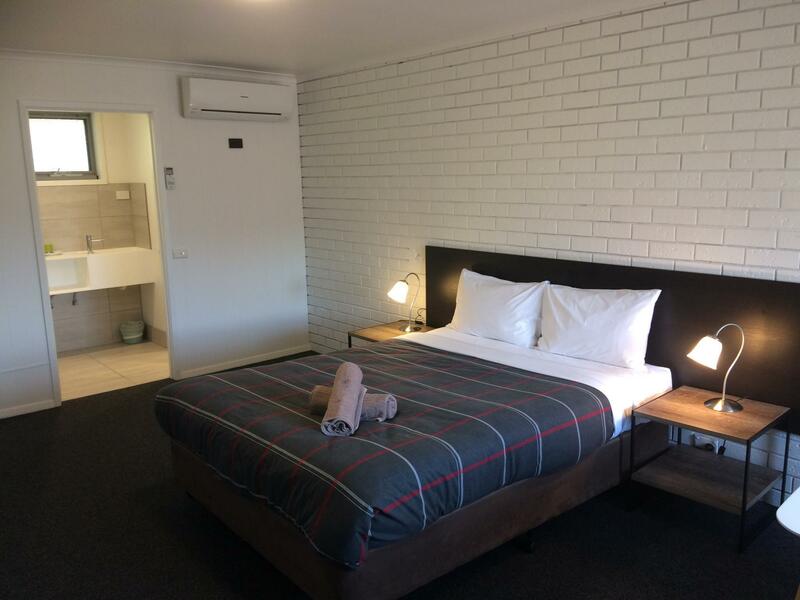 This much anticipated trip to see the Great Ocean road was planned few months in advance and I had booked this property based on its location and rating. When I arrived around 6pm++ which was already dark due to the shorter day time (winter season), I found out that my top was taken by someone else. Luckily they quickly found me another room for my cranky children to crash for the night. That being said, it was clean.. and within walking distance to many cafes and restaurants. It was full house at that time so I guessed that this property must be popular in Port campbell. I love this motel! it's just in front of the sea and there are supermarket and eatery just 2 mins walk away. Hotel is clean. The only thing is that they only have a side mirror in the toilet which make putting make up bit difficult. Will highly recommend this motel. 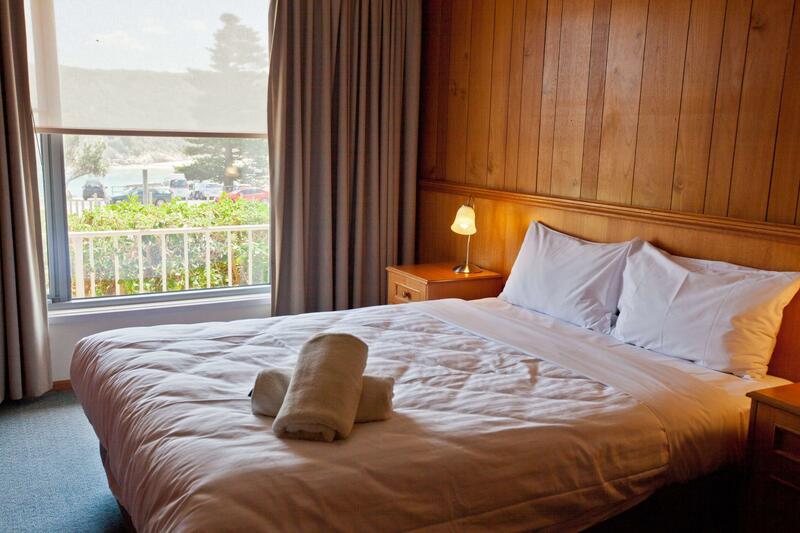 Located right by the beach, less than a 2 minute walk from the shops and restaurants. Newly renovated rooms with very helpful staff. If you're looking for food options, highly recommend The 12 Rocks which is hardly a 2 minute walk away. Beautiful view of the beach from our room. Extremely well kept gardens too. Very easy quick check in. Nice fresh decor. Handy kitchenette with kettle and microwave - latter would have been more useable if there were a few larger microwave bowls available. Also a teatowel and scrubber! But these are minor things, overall it was one of the best value places we have stayed in. We thought at very first it must be far away from the city centre but actually it was not... it is within walking distance (10-15mins walk or less). Lucky we brought cook food as the hotel only has a microwave and toaster and only 1 restaurant which is italian pizza shop, a supermarket with limited food. Hotel is so peaceful and with perfect view. I enjoyed the view so much in the morning. My son and daughter is so liking the place and beg us to go back again. We will definitely come back. Room was clean and check in was efficient. Room deco was cozy and facility sufficient except there is no in-room laundry and the common laundry could be cleaner. However for the price paid I think it is reasonable. Location is walking distance to town centre and no right in the middle and therefore it is peaceful and yet convenient. 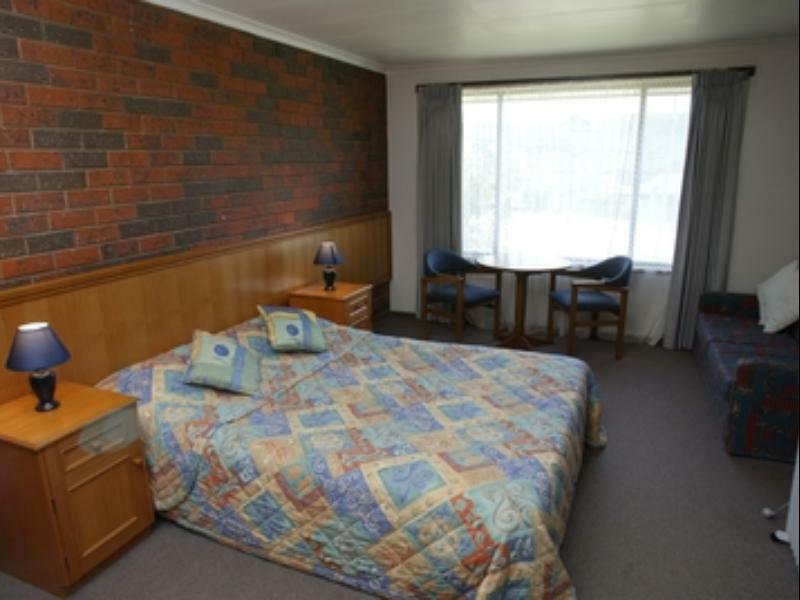 We booked a 2 bed-room unit - 1 Queen bed in a room plus 2 single beds in the living room. There’s a kitchenette which is equipped with some cutleries, bowls, plates, mugs, water glass - all these for 4 pax plus a microwave oven, a kettle and a wine glass ( should have 4). 2 of the mugs were badly stained. The kettle was stained too. Other than these, it was quite comfortable. Nice view of the sea inlet too. Perfect location to eatery and the view is awesome.. Will definitely come back again. The location is good. Room size is decent for 4 of us.